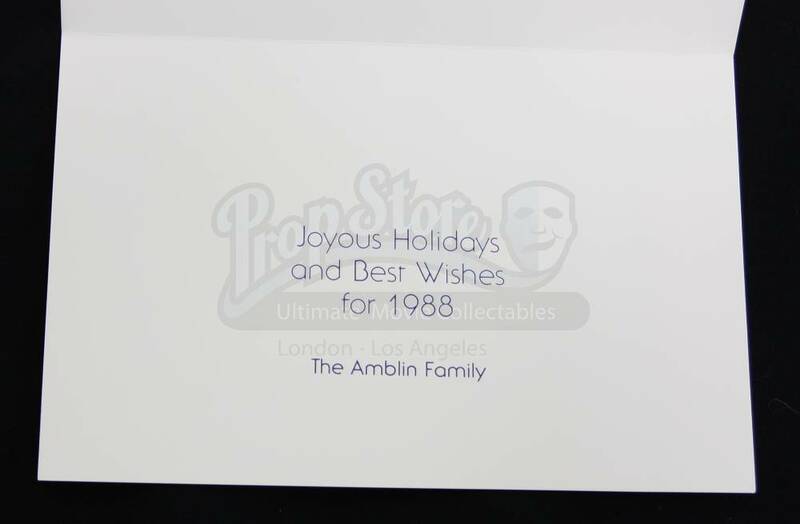 An Amblin Entertainment Christmas Card from 1987. The seasonal card features a picturesque restaurant front with a full moon in the sky, and the Amblin logo of Elliot and E.T flying past. 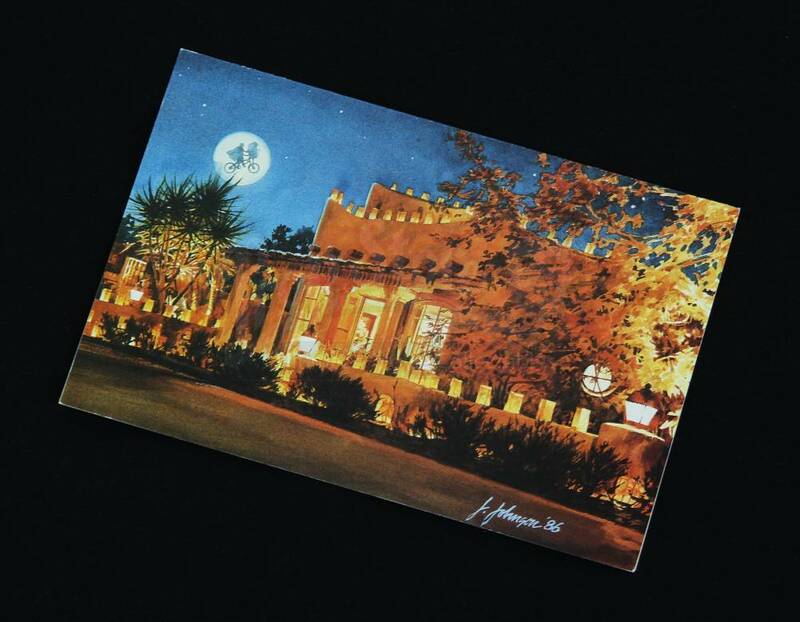 Painted by J.Johnson in ’86, the card reads inside “Joyous Holidays and Best Wishes for 1988, The Amblin Family”.